‚doorroomdoor‘ is a site-specific examination of usual room planning in architecture. 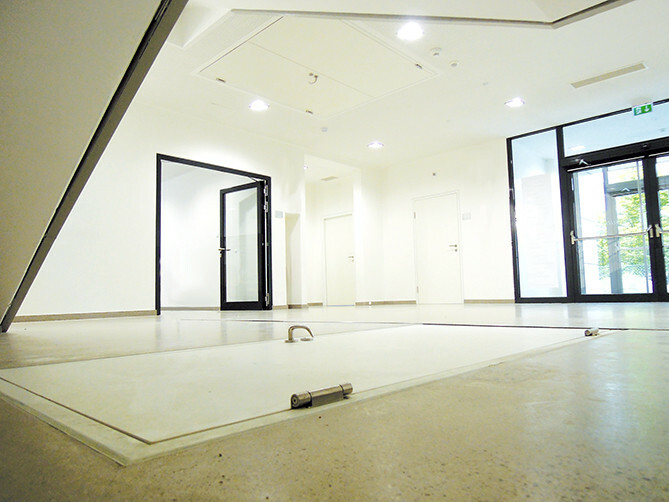 The entrance area of the building is extended by a double door on the ceiling (2x90/200) and a single door (90/200) on the floor. The additional doors are all the same in material, dimension and modelling. The room concept becomes more obvious and is alienated at the same time by challenging one‘s perception.